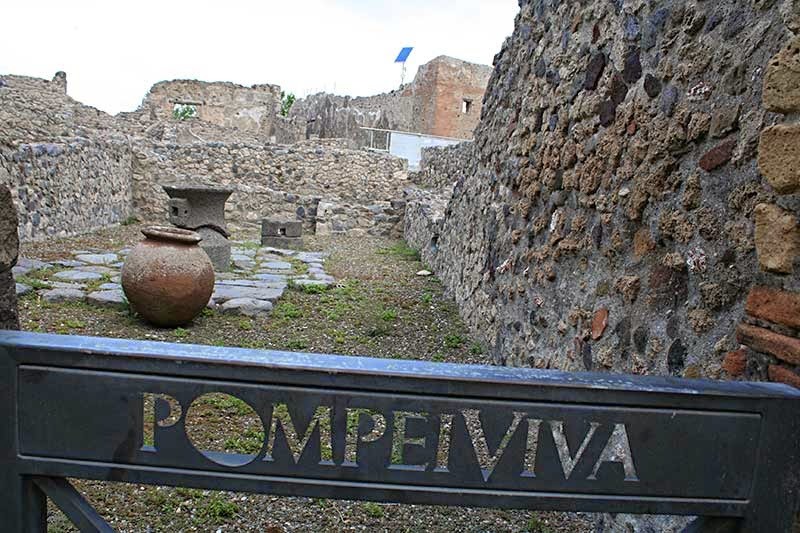 When visiting the ruins of the ancient Roman city of Pompeii, study the details of some of the rocks that make up the walls. 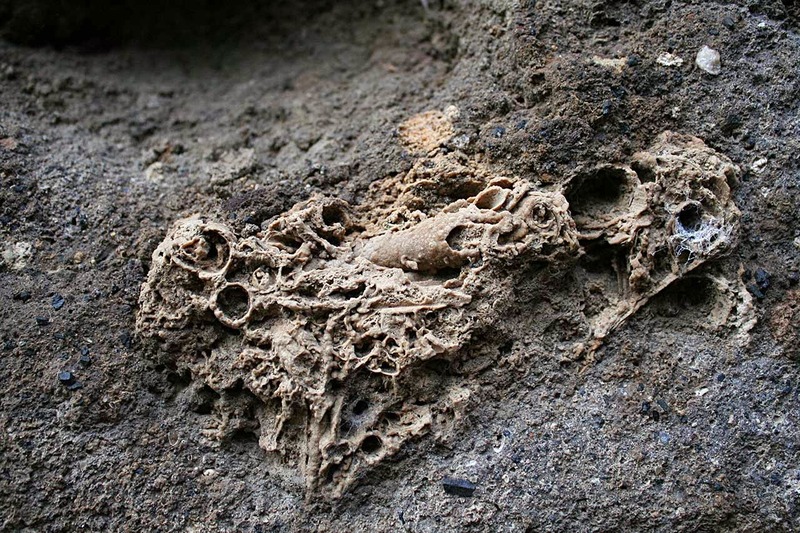 Some appear to be clusters of tube like shapes that resemble fossils. There are quite a few of these rocks to see in the numerous walls throughout the ruins. What I would like to know is how did they form? 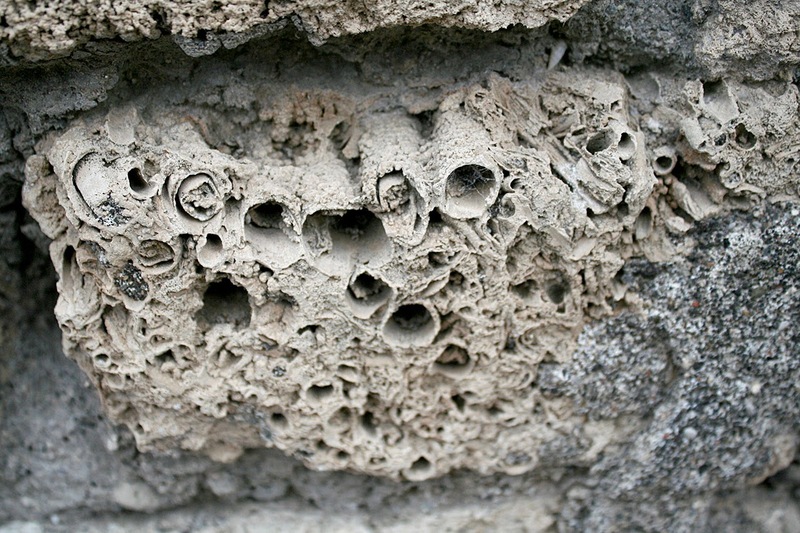 Are they a byproduct of the eruption of Mount Vesuvius? UPDATE: I think these specimens are travertine (limestone concretions with remains of plant stems). They are not from the volcano. It would be nice to know where they originated though. 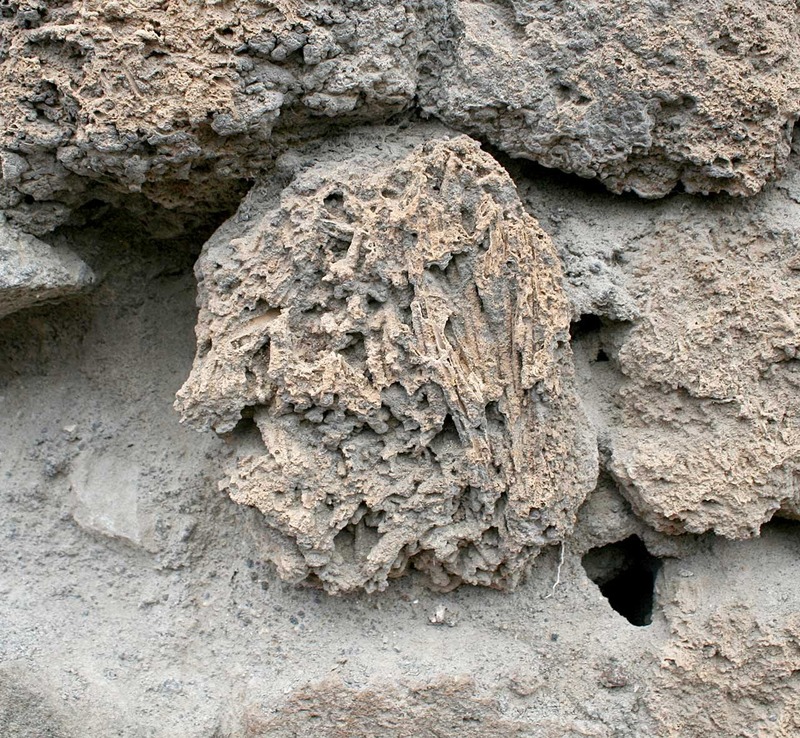 Example of walls found in the ruins at Pompeii. 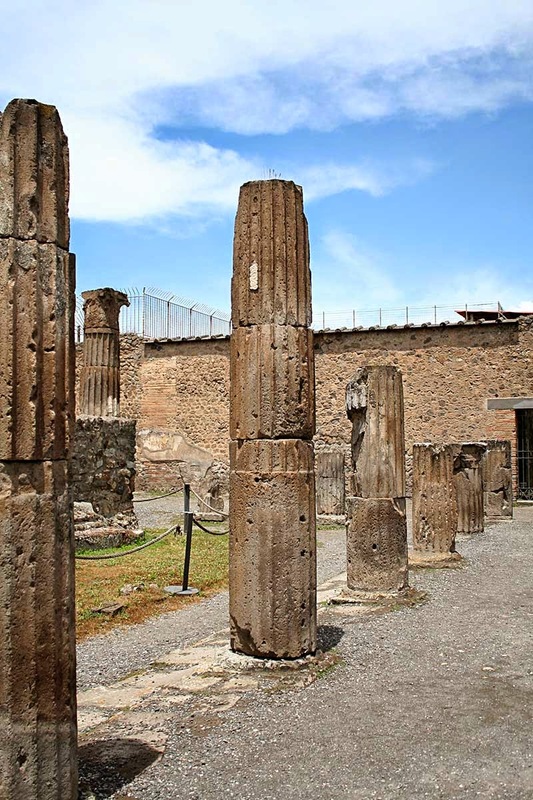 What is left of some Roman columns at Pompeii.